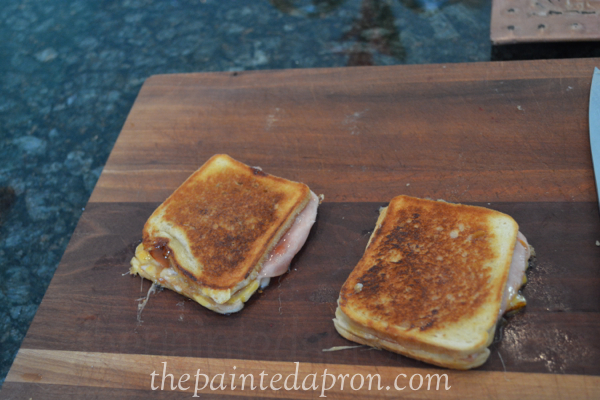 AND a grilled ham & cheese sandwich! It would even be great for breakfast! 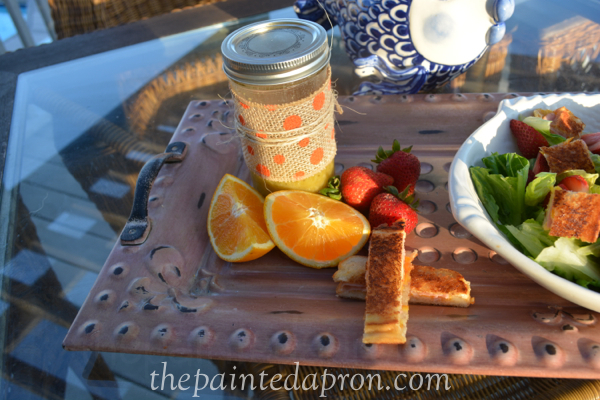 Make sandwiches by spreading one bread slice with orange marmalade and one with strawberry jam. 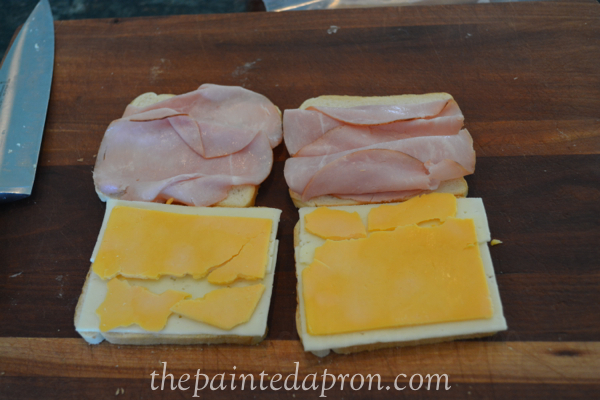 Top each with 2 slices ham, then 1 slice of each cheese. Top with remaining bread slices. Butter tops of sandwiches and put into large skillet, buttered side down. Now butter remaining side. 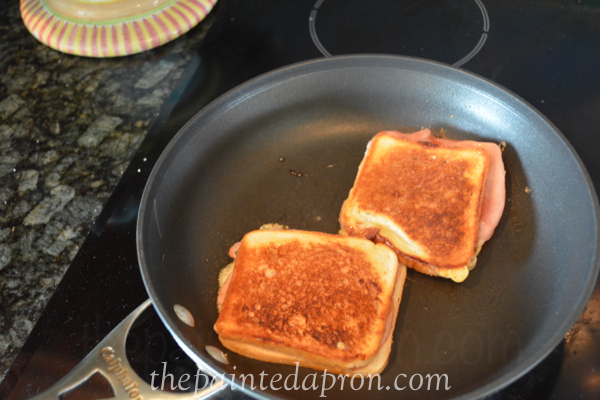 Turn heat to medium and let sandwiches cook until golden brown on down side. Carefully turn over and cook until the remaining side is browned. 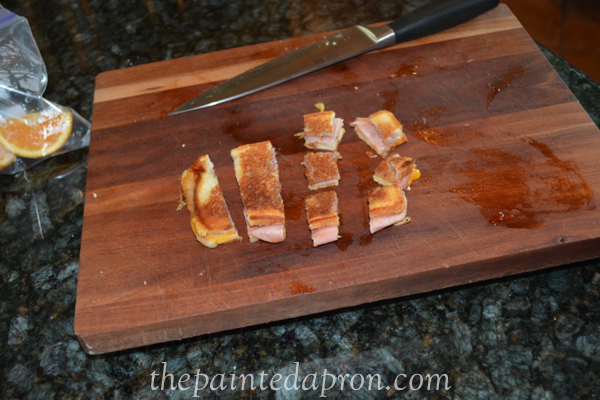 Let sandwiches rest on cutting board for 10 minutes before carefully cutting into small squares, 12 per sandwich. 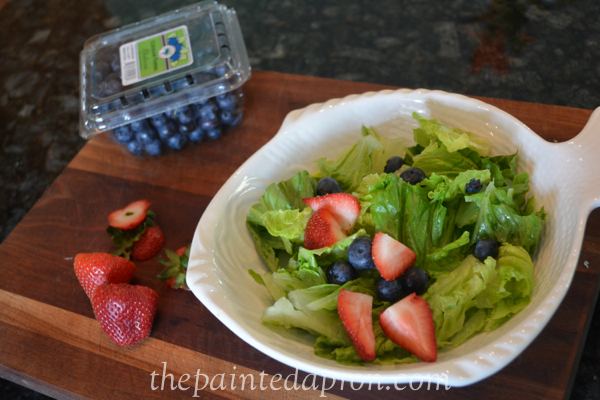 Add to salad after dressing. Oh my! 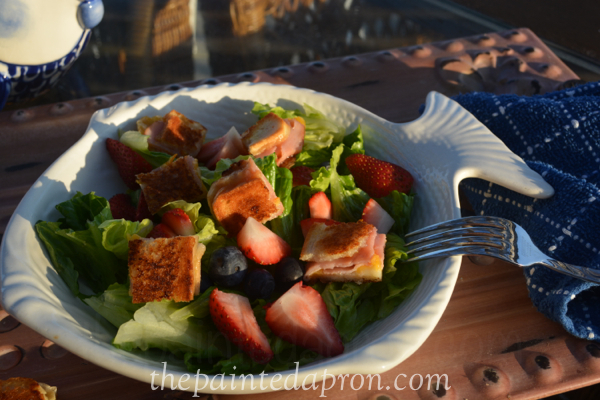 Those croutons! 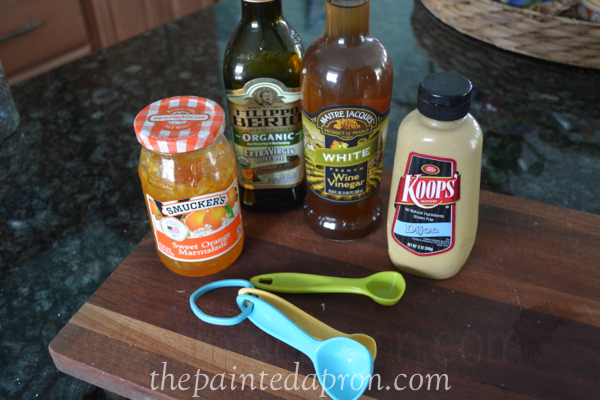 And the orange marmalade vinaigrette. 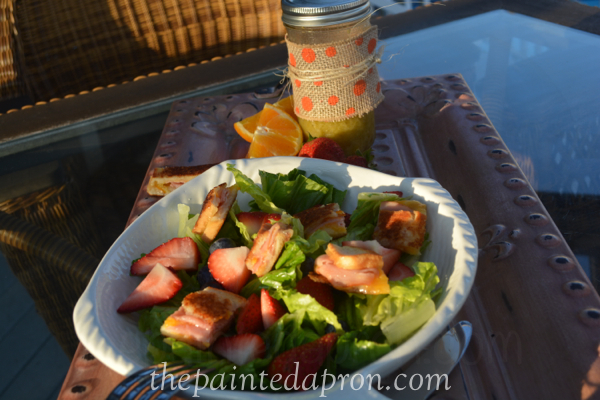 Wonderful salad, Jenna! Yum! 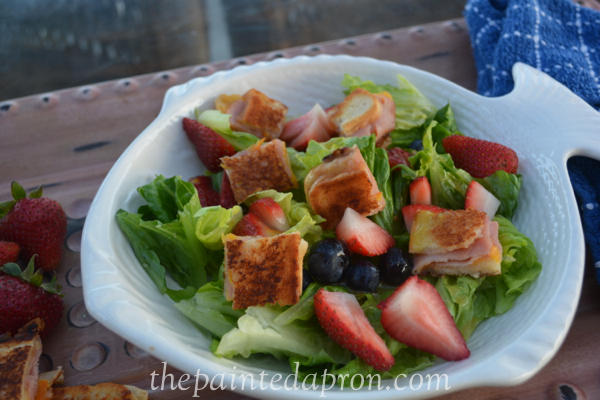 What a wonderful idea for croutons, especially for one (me) who loves grilled cheese sandwiches! This is such a unique and clever idea! I’m putting this to use tonight! 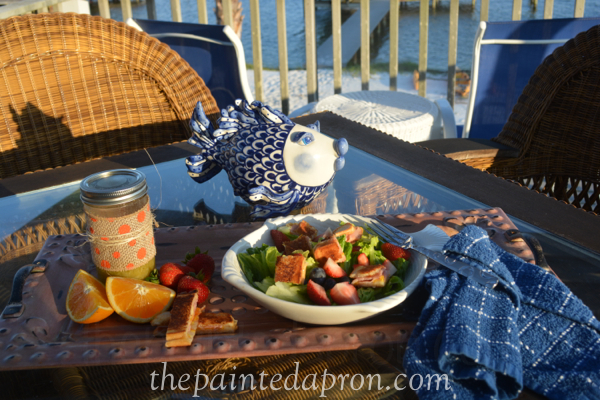 One of my favorite salads! So fresh and delicious. Your monte cristo sounds delicious!